Becoming an international center of excellence. Boosting scientific findings and therapeutic interventions. Bridging the gap between biomedical research and market. 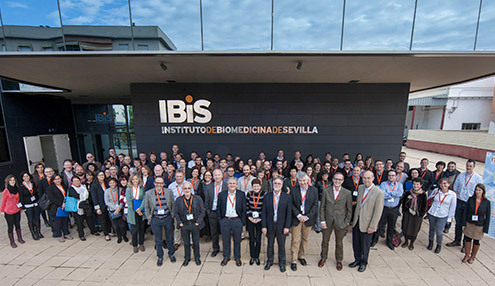 The European Project ITRIBIS "Improving Translational Research Potential at the Institute of Biomedicine of Seville", is envisaged to enhance the IBiS' excellence to become a reference of biomedical translational research applied to prevalent diseases in South Europe; to improve the transfer of results and, thereby, increase the production of benefits for the region. ITRIBIS Project is focused in two main research lines: cell degeneration (brain, heart, cancer) and antimicrobial resistance. ITRIBIS is a Coordination and Support Action funded by the Capacities European Call FP7-REGPOT-2012-2013-1. 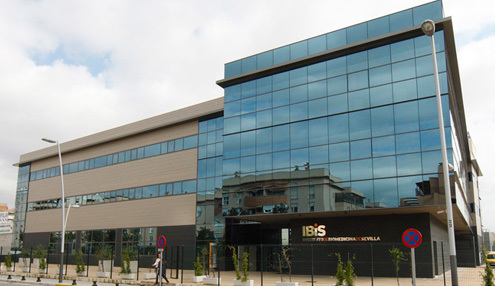 Distinguish the IBiS as a center of reference in translational research in Southern Europe. 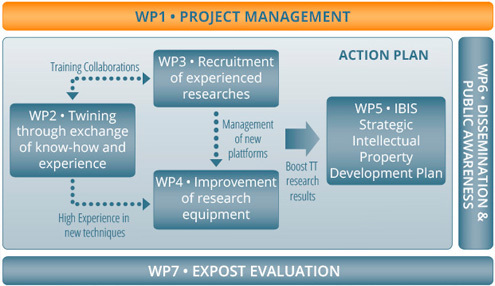 Management, Twining and events, Recruitment, Equipment, Technology transfer, Dissemination and Evaluation. 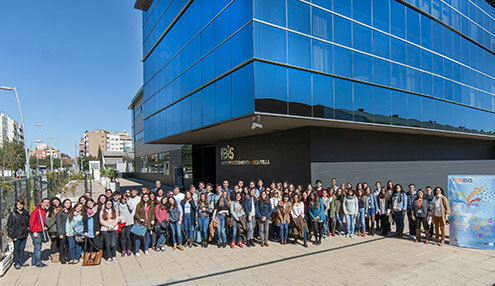 The ITRIBIS Project coordinating person is Prof. José López-Barneo, IBiS' Scientific Director. Strategic partnership with 12 outstanding research partnering organisations from 6 European countries. 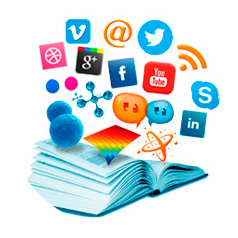 Raise awareness on the possibilities of development and innovation of research results. Special seminar: DESIGN BASED STEREOLOGY – WHEN DO WE NEED IT? II Seville Molecular Medicine Workshop entitled "Cell Therapy, Molecular Mechanisms and Clinical Translation"
The event will be held in May 9-10, 2016 at the Institute of Biomedicine of Seville (IBIS). The event will be held in January 19-20, 2016 at the Institute of Biomedicine of Seville (IBIS). Workshop on Neurosciences: Using single cell sequencing to reveal neuronal classes. The event will be held in October 15, 2015 at the Institute of Biomedicine of Seville (IBIS). The event will be held in May 14, 2015 at the Institute of Biomedicine of Seville (IBIS). The event will be held in March 5-6, 2015 at the Institute of Biomedicine of Seville (IBIS). Seville molecular medicine workshop entitled "Hypoxia, molecular mechanisms and clinical translation"
The event will be held in December 1-2, 2014 at the Institute of Biomedicine of Seville (IBIS). The event will be held in November 17, 2014 at the Institute of Biomedicine of Seville (IBIS). Workshop on Optogenetics imaging, imparted by Prof. Arthur Konnerth from the Munich Technical University. The event will be held in June 26-27, 2014 at the Institute of Biomedicine of Seville (IBIS).